I must confess that I’m not much of a fan of Florida, the main pedestrianised shopping street in central Buenos Aires. It may feature in all the tourist guides, but after navigating only a couple of blocks of the crowds, touts and vendors I find myself checking that all my possessions are intact like my my wallet or a kidney. Situated on a busy corner in the heart of the action Florida Garden has been serving the residents and workers of Microcentro since 1962. 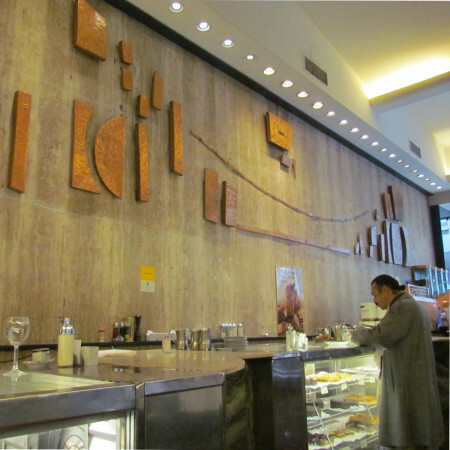 Like many Notable Bars it has kept a lot of its original fittings and it’s clear that most of the interior decoration was done in the 1960s. 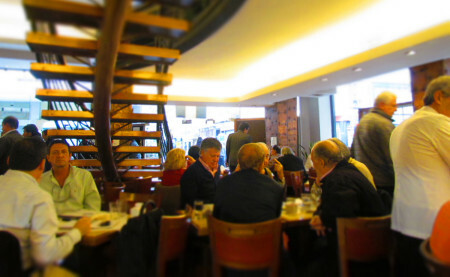 I visited on a rainy Friday afternoon and the place was packed with a small army of white-coated waiters zipping between the tables. I was served by a 12 year veteran but he pointed out a colleague of his who has been working there for the last 4 decades. Florida Garden is not the most atmospheric of the bars I’ve visited but it has its own style and has clearly resisted any attempt to modernise and lose its character, and for those reasons it’s worth a visit if you’re in the area and need a break from all that shopping. This page is part of a series examining the Notable Bars of Buenos Aires. Our tour guides are handpicked, personable, knowledgeable and passionate about this city. They are university educated and professional. 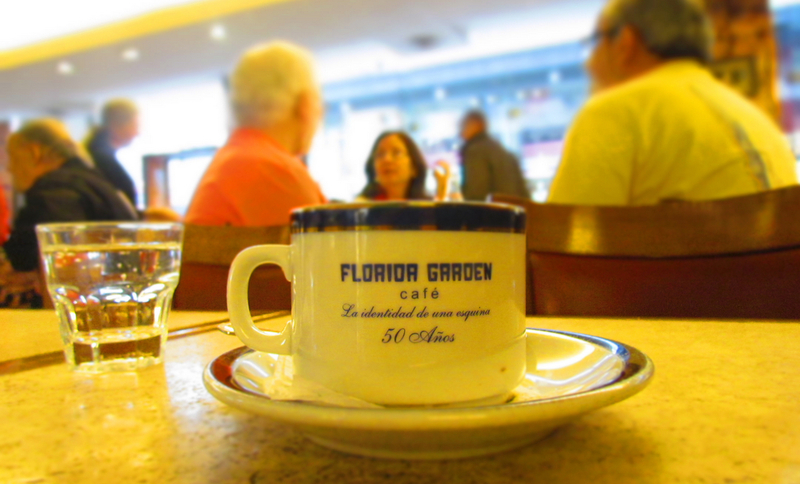 Unlike other walking tours in Buenos Aires, all of our guides are native English speakers.